Brazilian striker Alexandre Pato is currently the loan player of English club Chelsea from Corinthians with six months duration which will end up in next June, 2016. 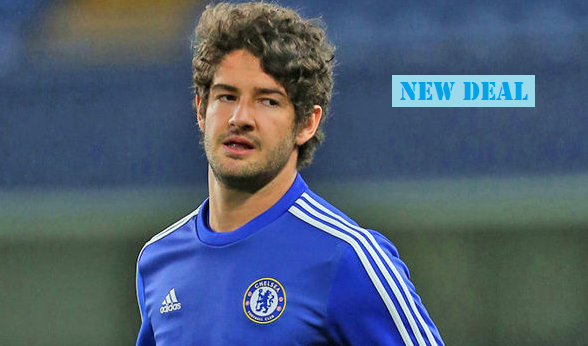 But his Brazilian agent Gilmar Veloz has claimed that Pato would be the permanent recruit of the Blues. Alexandre Pato is a Brazilian national football team players who plays for the team since 2008 as forward. He also played for Brazil under 20 and Brazil under 23 teams. Pato started his club journey in 2006 with Internacional. He played there for one season. Later, he joined Milan which was officially confirmed in 2nd August, 2007 by Serie A. He was there until 2012 and the transfer fee was unknown. Corinthians recruited him in 2013 for four years in exchange for €15 million. That deal will end in next 30th December, 2016. He was also playing for two different clubs as a loan player while under contract with Corinthians. Sao Paulo is one of them. He played for Sao Paulo total 59 matches and scored 19 goals which why he was collected by Chelsea as a loan. Later in January, 2016, Chelsea made a deal with him for six months where they were ready to give €1 million per month. But unfortunately, Pato only played two appearances and scored one by penalty under interim manager Guus Hiddink due to injury. Now, Pato hopes he will get chance to play with the Blues permanently for four years where the loan time is about to an end. And also the deal with Corinthians will go underway in upcoming December, 2016. So, he will be a free agent by then. According to the report, Pato has already made an agreement with Flamengo, Sao Paulo, Inter and Palmeiras where the question is how is he made an agreement while he is under contract with Chelsea till 30th June, 2016. Pato’s agent Gilmar Veloz believes that this 26 years old Brazilian striker would have a future with Stamford Bridge. So, he does not give up yet the possibilities to tie up with this 4 times Premier League champion club. Meanwhile, Alexandre Pato’s homeland clubs are waiting eagerly to put him an agreement with them but he will not decided anything before Chelsea’s next move, says his representative. Besides, he has still a document with four years agreement where Chelsea will extend the deal if they want. And now, if they do not extend that contract then it will be all up to Corinthians to decide what to do next. Now, the obvious question raise that will Antonio Conte the current boss of Chelsea extend the contract with Pato who failed to prove himself worthy.